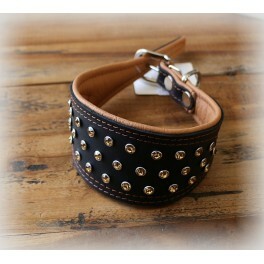 Leather collar with 31 crystals. Available in different colors. 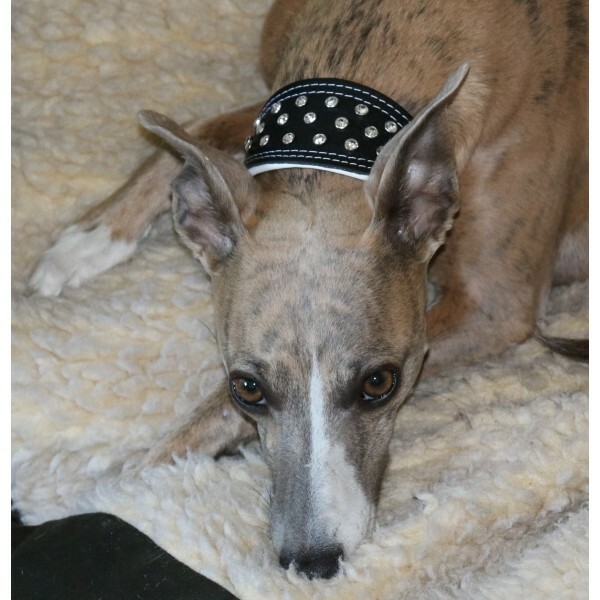 Lovely leather collar with 31 swarovski crystals. Inside soft leather, black leather exterior. Crystals and threads have the same color as the inside. Length to first hole: 33 cm, last hole 38 cm.